Each team has received 2 tons from the same block of Malbec. The harvest date was determined by our very own PJ Alviso so the playing field is even. Final judgment will happen on or around August 1, 2016. 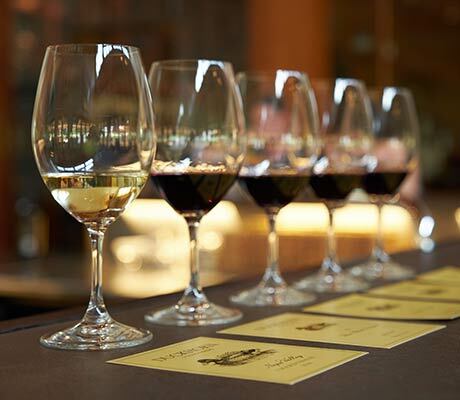 A carefully selected panel of DWC insiders will taste the wines double blind and rank based on pure preference. This score will represent 75% of the total judgment. 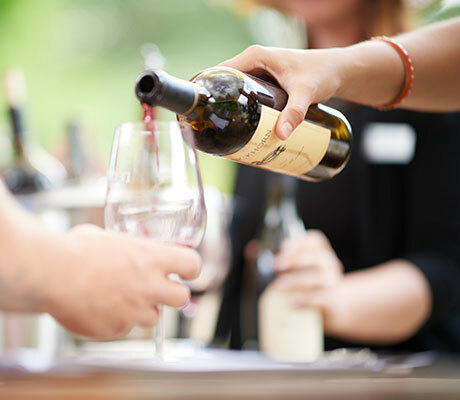 After the tasting, the winemaking teams will present the techniques or thought process they used, or didn’t use, to make the wine. The judges will be looking at creativity, innovativeness, new (or very old) techniques, and general thoughtfulness when issuing their score, which will represent 25% of the total judgment. I have tasted a few of them already and am excited to see the final results! 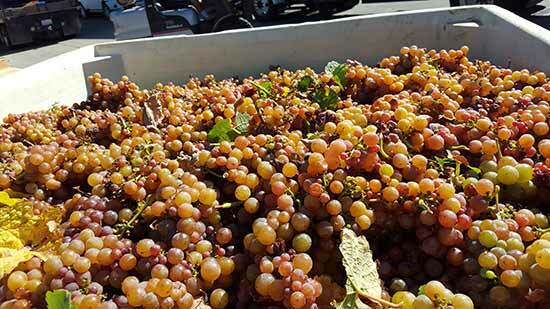 Congratulations to the Goldeneye team for completing our Anderson Valley harvest on Friday! This is the earliest Goldeneye harvest on record, and ranks up there with other early harvests like 2004. While they brought in their last fruit, there is still much work to be done finishing ferments, pressing, and barreling down. Michael Fay says everything is tasting great, another banner year for Goldeneye wines! 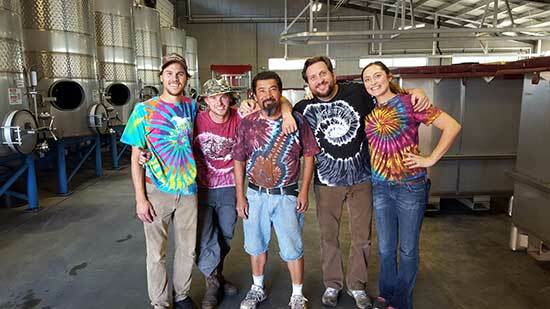 Check out this picture of most of the team last week on Tie Dye Friday, how cool are these guys? I had the great pleasure of working in the cellar yesterday with the awesome Paraduxx team. As you can imagine, they had a very busy day planned and had a lot to accomplish before the day was over. 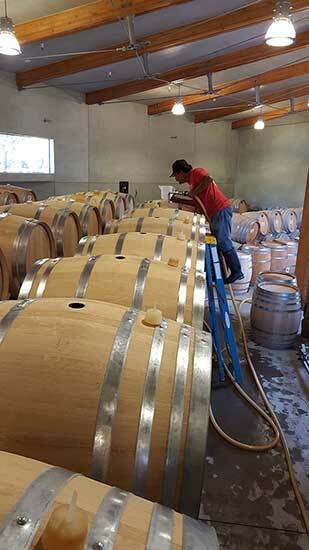 I was so lucky to be working with Alfonso Hurtado, pictured below, who has been with DWC for over 15 years, filling barrels with Duckhorn Chardonnay juice for barrel fermentation. 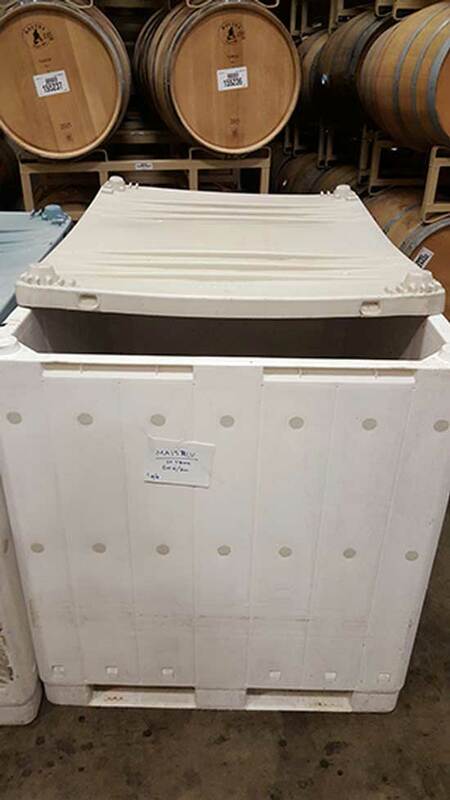 There are few cellar operations as fun as this – crisply lined up barrel pyramids, delicious Chard juice, and the smell of toasty oak barrels and nascent fermentation around you. The process takes a lot of concentration as one is juggling two filling wands at a time, and the barrels have to be precisely filled so they don’t overflow during fermentation. Many thanks to the Paraduxx team, and especially Alfonso, for letting me hang out with them for the day! Check out this photo of the delicious Goldeneye Gewürztraminer in grape form. This was picked last Friday off of our Confluence vineyard, and tasted amazing. Gewurtz is one of the tastiest grapes (for me) because of its high terpene content. Terpenes are a diverse grouping of highly aromatic organic compounds produced by the vine, and are responsible for the spicy, lychee, lavender flavors and aromatics that make Gewurtz so enticing. Other varietals with high levels of terpenes are Muscat, Torrontes, and Viognier. If you haven’t tried the finished wine from Goldeneye, make sure to grab a bottle quick this year, Michael and team only make 75 cases a year! I arrived at our Decoy Winery in Hopland early this morning, around 6 am, and was greeted by this eerie sound from just on the other side of the pond. A decent sized pack of coyotes was on the prowl. What a cool way to start the day! The Labor Day heat spike is right on time, and is making this harvest exciting. The weather report is telling us that we are in for 4-5 days of consistent heat, upwards of 104 degrees in some places. At this point in the growing season, this will put a lot of pressure on already tired vines, and we will see sugars increase dramatically through shrivel and desiccation. Pretty much everyone is picking as fast as they can to get grapes into the barn before things get overripe, and the team is doing an incredible job managing the many details of the peak of harvest, as always! 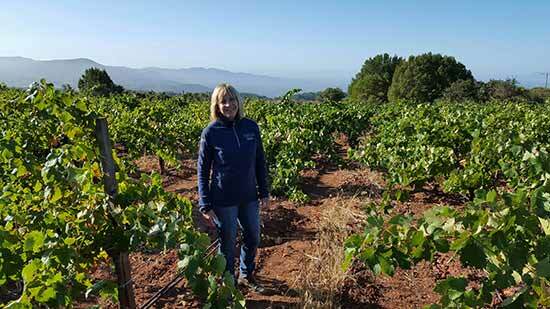 I had the great fortune to spend early Friday morning with our talented and knowledgeable Napa grower rep Cindy Johnson. In addition to seeing some incredibly beautiful vineyard sites in Carneros, Atlas Peak, and Howell Mountain, I got a chance to see Cindy in action, checking on vineyards and meeting with growers to ensure that only the best fruit comes into the winery. She is pictured here atop Atlas Peak amidst a 100 year old Zinfandel vineyard. The grower relations team plays a hugely important role in the quality of all of our wines in that they are the main contact between the winery and the grower throughout the growing season. They are the ones translating the needs of the winemaker to the grower, asking for that extra thinning pass or canopy management shift. This time of year, they are the extremely busy air traffic controllers, organizing and monitoring the flow of fruit into the winery. 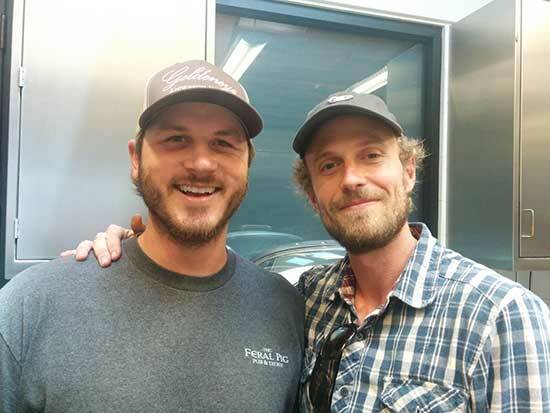 Being in grower relations is extremely challenging and requires great skill, patience, and tact in balancing the needs of the grower and our winemakers. We are very lucky to have such a great team, composed of Jerry Chong, our Director of Grower Relations, and Mary Basore, our Contract Coordinator, and Cindy J. In addition to the full timers, we have a crack team of supportive seasonal assistants and grape samplers, namely Alex B, Mike E., Mike S., Brad, Barry, Emily, and Peggy (who is currently recovering from a fall in the vineyard, get well soon Peggy!). Thanks to you for all your hard work, you are doing a great job! Good luck noble competitors, good luck. 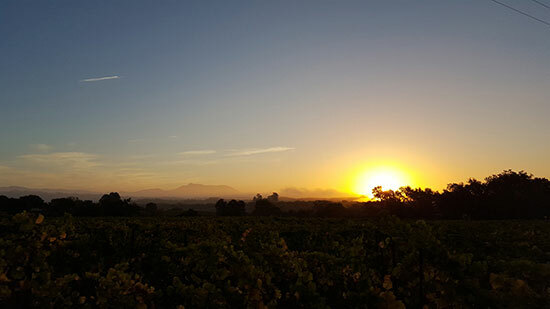 I was out sampling the other morning with Bo Felton and had to capture this incredible morning scene of the Russian River Valley with Mt St Helena in the distance. What a beautiful time of year to be in a vineyard! Just a quick update on harvest, we had a brief but concerning rain event on Saturday. While we didn’t get much accumulation, it was quite warm and humid, and if not for the warm, breezy afternoon, would certainly have posed some problems in the vineyards. The weather this week looks good, though there is the chance of another small precipitation event this weekend, which could be problematic if it materialized. 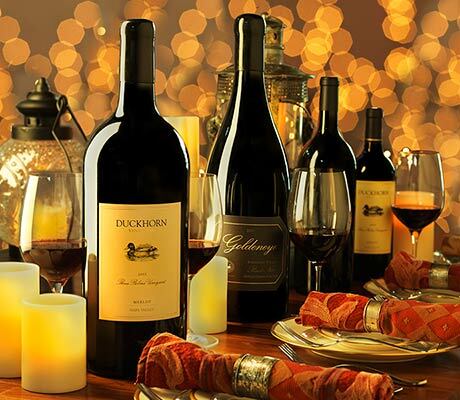 We are currently finishing the Duckhorn SB and moving into the Chardonnay. 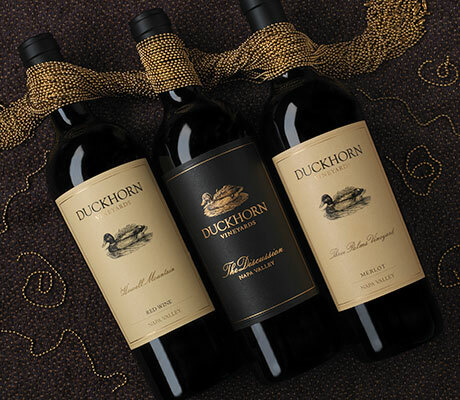 Also, we have brought in some of the early Napa Valley reds like Three Palms for both Duckhorn Vineyards and Paraduxx. 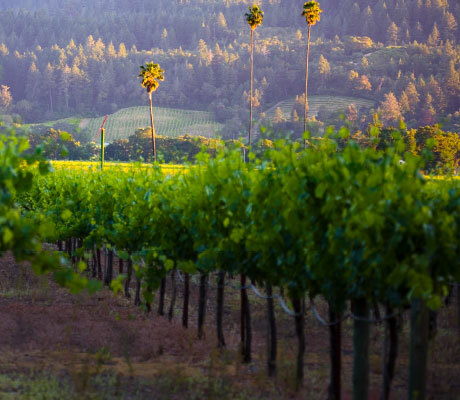 Incredibly, we are already more than 50% complete with the harvest in the Anderson Valley, a record early year. On the Sonoma Side, Migration has done a good chunk of its Pinot Noir, but is just starting to bring in Chardonnay. Decoy is in the middle of Sauvignon blanc, Pinot, Chardonnay, and some of the later ripening reds are beginning to trickle in. It has been a great start to harvest, but there is still a long ways to go.